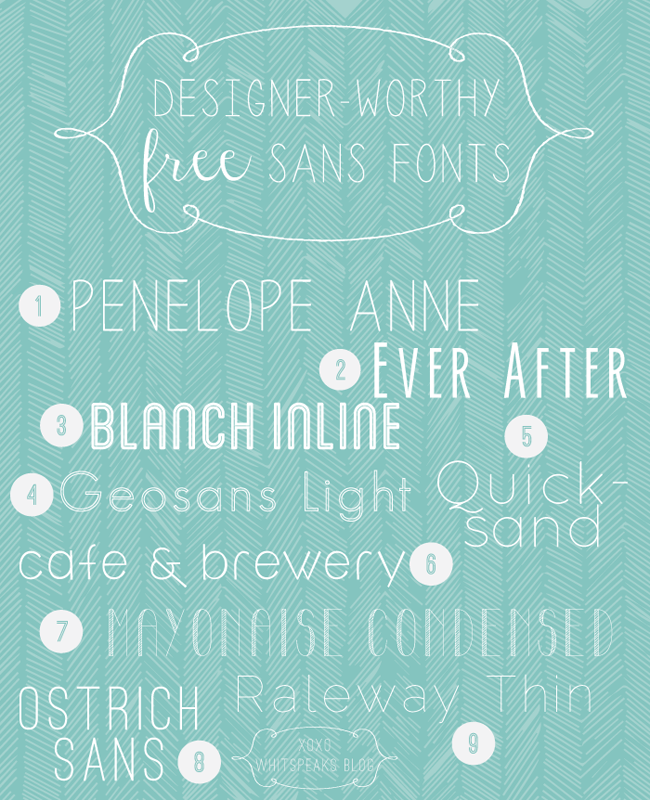 I have somewhat of an addiction to pretty fonts… as I already confessed here! This obsession has caused me to sorta hord the fonts I find, and I thought that sharing my favorite finds might help ease the guilt of having so many Maybe?! In this multi-part series I will be bringing you various collections of fonts so I can get you hooked too – mwahahahaha! See where you can find all of Whitney’s favorite free fonts over on her blog, Whit Speaks!